SE Powell Boulevard between I-205 and SE 174th is one of the most dangerous corridors in the city of Portland, Oregon, according to Vision Zero Portland. In 2014, the Oregon Department of Transportation (ODOT) set out to make much-needed safety improvements to the dangerous corridor. 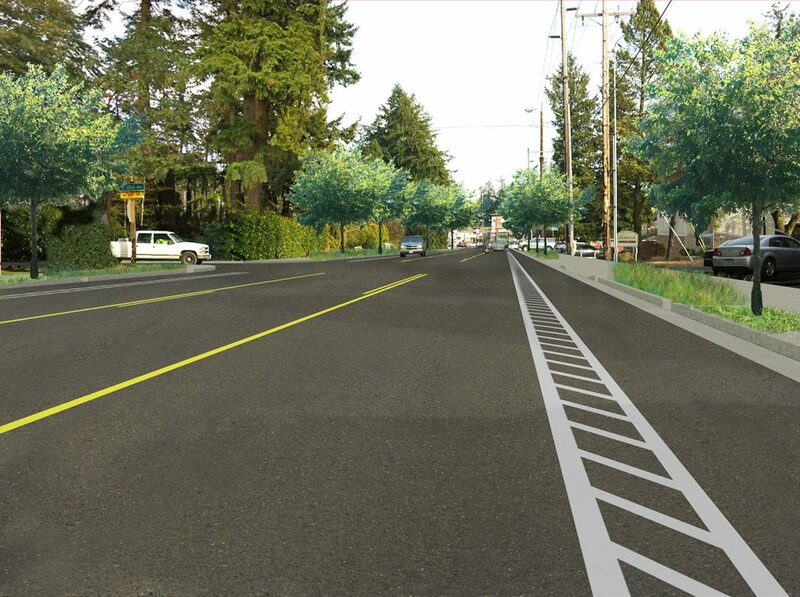 ODOT’s plan, known as the US 26–Outer Powell Boulevard Transportation Safety Project, includes widening the road into a three-lane cross section, with bike lanes and sidewalks on either side. These changes are expected to drastically improve safety, yet would require a number of trees to be removed. 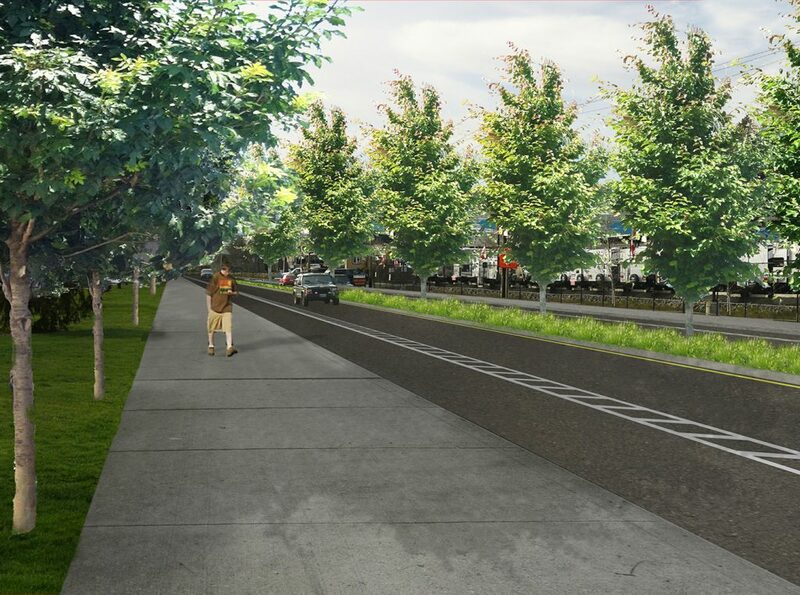 To determine how the loss of trees would impact the character of the neighborhood along SE Powell Boulevard, ODOT hired NNA Landscape Architecture to provide visual simulations that would allow planners to visualize the new streetscape. 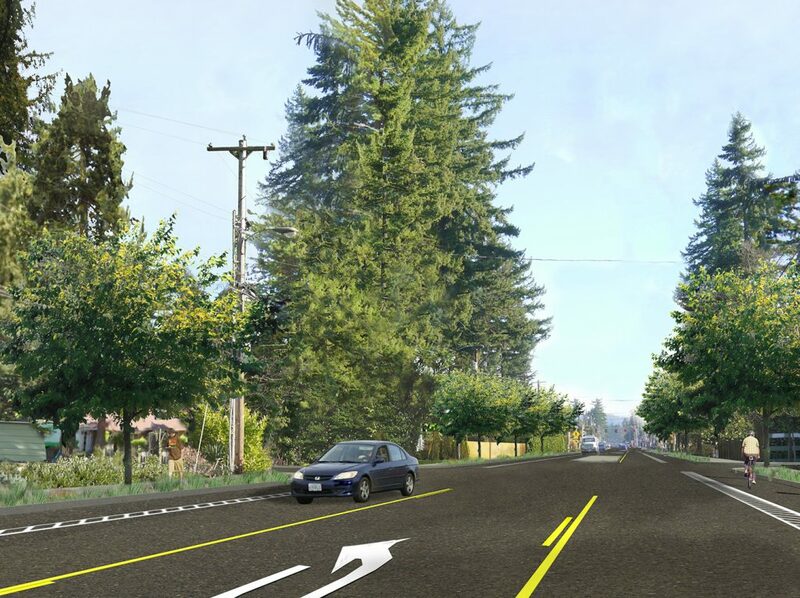 As ODOT moved into the design phase of the project, the agency hired NNA to oversee street tree removal, develop tree protection and mitigation plans, and create a street tree, landscape and stormwater planting plan. 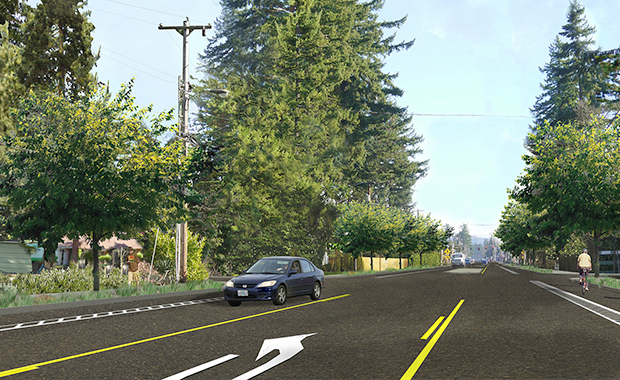 This project is unique in that it is being designed to meet both ODOT and City of Portland requirements for roadside development. NNA’s many years of working with both agencies has been invaluable to the team.